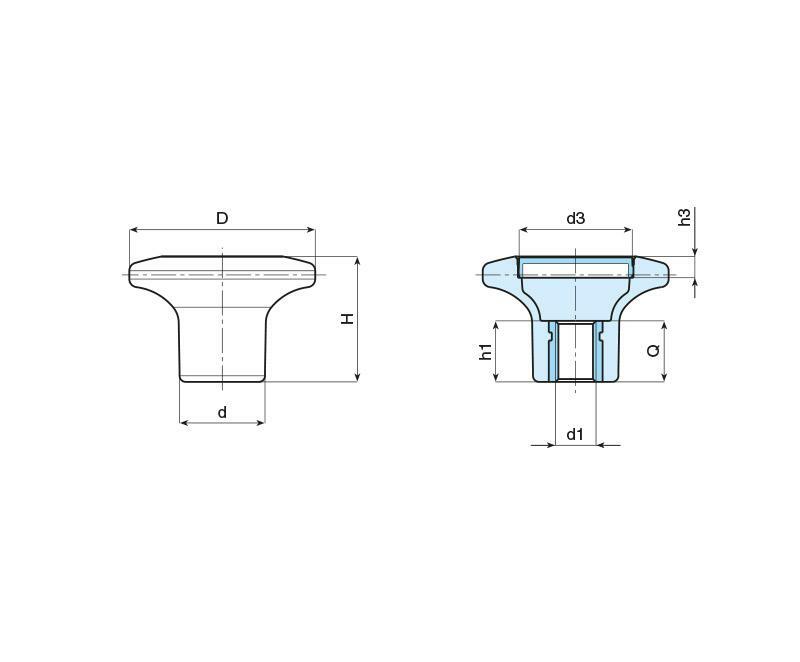 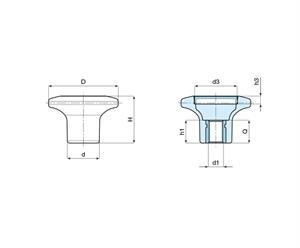 Pull knob with cap and female thread moulded in black reinforced nylon with grey cap. These high strength knobs feature a moulded in brass insert. 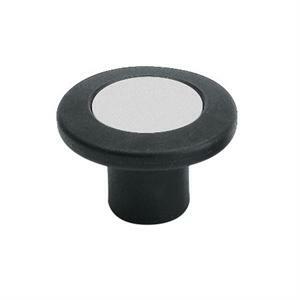 Widely used on food processing machinery and general equipment the pull knobs can be supplied with coloured caps on request.